Shamir Balley used to be a famous name in disco and pub house of Las Vegas before he came in limelight for his electronic, disco and hip house genre music. Born on November 7, 1994, Shamir introduces himself as an American singer and Songwriter who has gained name and fame at the early age. His Debut EP, Northtown, which was released in June 2014 was widely appreciated. In 2014, October, he was signed by XL Recordings and started to work on the single “On the Regular”. On May 19, 2015, he released his first debut LP in the United States. Talking about his early life, Shamir was born in North Las Vegas in a Muslim family but Shamir prefers to be called spiritual rather than religious. Shamir stated that God Is the Universe. Shamir was grown up in a musical environment. His aunt owned music business and his mother was also a musician who plays Bass. In Shamir’s house producers used to be their guest, which helped Shamir to maintain a good relationship with them. Having parents from a musical background, Shamir got a chance to be introduced to a variety of music such as hip-hop, R&b, Theory. Similarly, at the early age, he was introduced to music of singers like Nina Simone, Janis Joplin, and other legends. At the age of nine, Shamir started to play Epiphone guitar and started to write music. Shamir attended local high school at Las Vegas, where he met a friend with same musical taste and formed a punk band. But his band did not exist for long. During his high school days, he began to work on his firs EP. After completing his high school education, Shamir recorded a demo tape and sent it to New York and he got an offer from the owner of the Godmodel label Nick Sylvester, which was beginning of his professional career. In June 2014, his first EP was released under the label of Godmode titled Northtown, a place where he grew up. Shamir started to create new music for every new release. His EP “If Wasn’t True”, was listed in ’25 Best Songs of 2014 so far’ by Flavorwire. Shamir started to appear as a big profile in Radio as well. His other singles include “On the Regular” (2014), “Call It Off” (2015), “Darker” (2015) and “In For The Kill” (2015). He appeared as opening act on Marina and the Diamonds- Neon Nature Tour (2015) and Troye Sivan- Blue Neighbourhood Tour (2016). 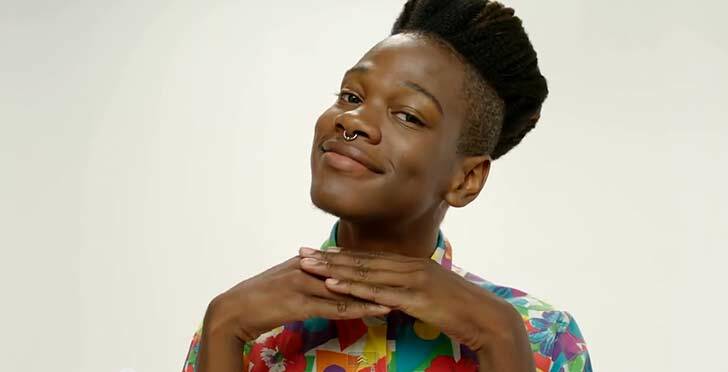 Digging his personal life, Shamir doesn’t believe in gender or in another word he is genderqueer. Although he doesn’t believe in gender he is comfortable with male pronouns. In an interview, he mentioned that he is not a gay but he does not prefer to be called as male or female. Till date, there has been no any information about his relationship and affairs. To get more information on this Young talented musician, you can follow him in his various social networking profiles.